As the Costa Rican government stalls on the publication of new tuna fishing regulations, one environmental group has taken matters into its own hands. In a letter to Costa Rica’s agriculture minister, officials from Earth Island Institute, a California-based nonprofit organization, said that if Costa Rica fails to enact new regulations, the group would consider banning canneries that carry EII’s dolphin-safe label from purchasing tuna fished from certain parts of Costa Rica’s oceans. EII has certified 90 percent of the world’s canneries as dolphin-safe, and the ban would affect 80 percent of the tuna canneries along Latin America’s Pacific Coast, including Costa Rica-based cannery Alimentos Prosalud and their popular tuna brand Sardimar. The dolphin-safe label came about in the early 1990s as an attempt to curb the enormous amount of dolphin bycatch caught in the nets of tuna boats. Dolphins and yellowfin tuna in the Eastern Tropical Pacific Ocean often swim together, and for decades tuna fishermen would cast their nets over dolphin pods to catch the tuna underneath. Conservation groups estimate that the practice is responsible for the deaths of 5 to 7 million dolphins. According to EII, a can of dolphin-safe labeled tuna certifies that the tuna was not caught with a net cast over dolphins. To avoid losing their dolphin-safe status, EII is asking the Costa Rican government to publish a decree that would ban fishing with purse seine nets — the preferred method for ships fishing for can-quality tuna — in the first 60 miles of Costa Rica’s Pacific coastline and an additional 48,822 square miles in the deep ocean. Though the decree came with widespread support from environmental groups and non-industrial fishermen, it has now fallen into an awkward limbo. The decree’s signee, former President Laura Chinchilla, failed to order the document’s publication in the official government newspaper La Gaceta, which would have officially made the executive order a law. The fate of the decree is now up to President Luis Guillermo Solís, who took office on May 8. In a meeting earlier this month, members of the new government asked for two months to analyze Chinchilla’s decree before making a decision, but EII’s statements may make their choice easier. 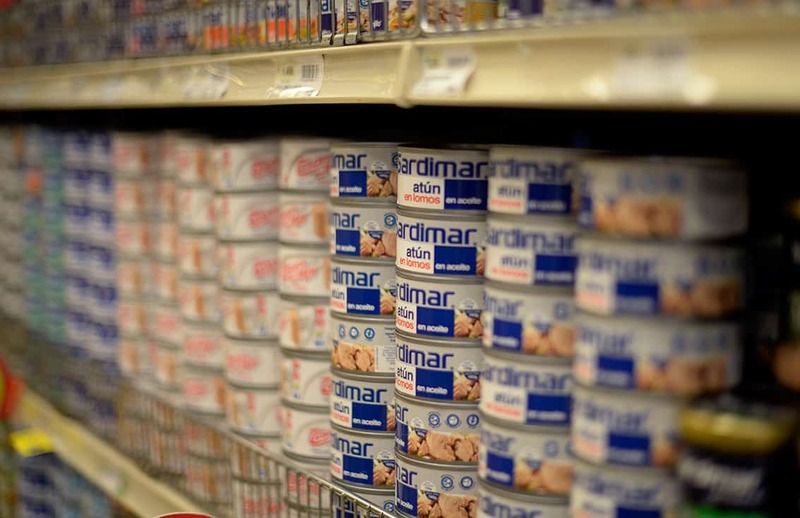 The decree’s largest opposition comes from tuna giant Sardimar, whose executives say the fishing restrictions would limit the supply of Costa Rican tuna for the cannery. Due to a Costa Rican law designed to encourage the cannery to remain in Costa Rica, purse seine boats fishing in Costa Rican waters are given free license renewals if they sell all of the tuna caught with their first license to Sardimar for a reduced price. Even if the decree is not published, Sardimar could now face similar restrictions if they hope to keep their dolphin-safe label.